He suffered greatly, enough to put it into his stories. Fyodor Mikhailovich Dostoyevsky (Russian: Фёдор Миха́йлович Достое́вский; (11 November 1821 – 9 February 1881),[b] sometimes transliterated Dostoevsky, was a Russian novelist, short story writer, essayist, journalist and philosopher. 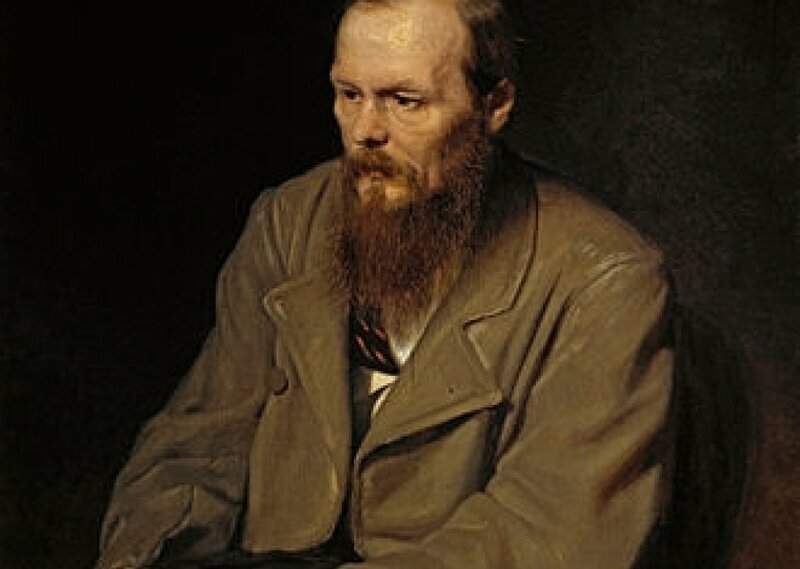 Dostoyevsky's literary works explore human psychology in the context of the troubled political, social, and spiritual atmosphere of 19th-century Russia. He began writing in his 20s, and his first novel, Poor Folk, was published in 1846 when he was 25. His major works include Crime and Punishment (1866), The Idiot (1869), and The Brothers Karamazov (1880). His output consists of eleven novels, three novellas, seventeen short novels and numerous other works. Many literary critics rate him as one of the greatest and most prominent psychologists in world literature. His novella Notes From Underground is considered to be one of the first works of existentialist literature. "The Dream of a Ridiculous Man"
Comments for "Dostoyevsky's Dark Mind"
License details for "Dostoyevsky's Dark Mind"